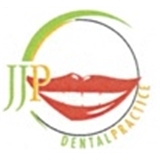 JJP Dental Practice (Beverly Hills) - Book Appointment Online! In our practice we do "one stop dentistry", i.e. all your dental needs will be taken care of under one roof and under the direct supervision of Dr. Refoa. We offer in-house services such as Invisalign, Implants, Dentures/Bridges, Root Canals, Fillings(no mercury), Laminates/Veneers, Gum Surgery & Oral Surgery and much more. The dentist who filled my tooth was not gentle. He cut my tongue and my mouth is still sore from the filling. This was a man, not Dr. Refoa.